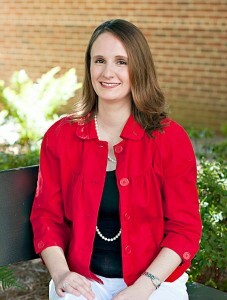 Hi, See Vanessa Craft readers! I’m Melanie, and I blog over at It Happens in a Blink. I am the proud mom to a preschooler and a set of triplet boys (yep, I saw that double-take). As you can imagine, my time to cook and craft is extremely limited. I post recipes and projects that anyone with a limited time frame can accomplish. Sometimes I share my funny tales of motherhood, and readers may also find me talking about products or brands that I’ve found that make my life easier. 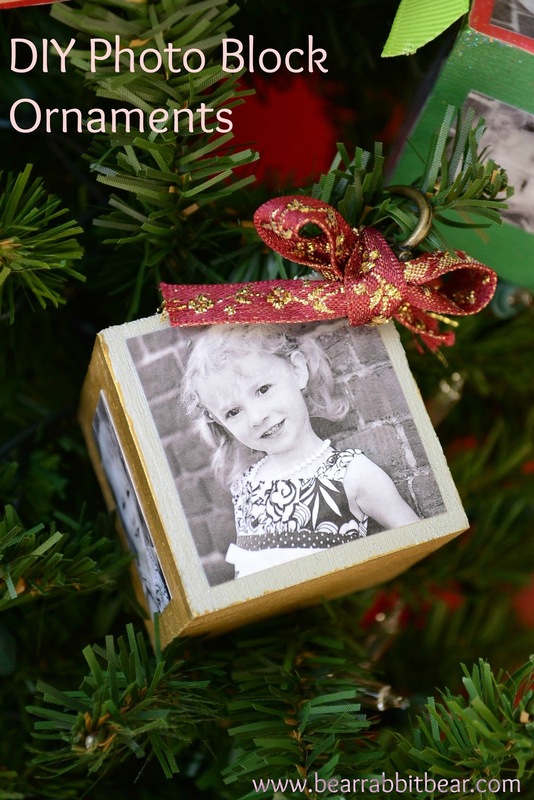 I hope you’ll come visit me on the blog soon (I may have an Ah-MA-ing Black Friday giveaway going on, hint, hint)! Thanksgiving is over, let the Christmas rush begin! 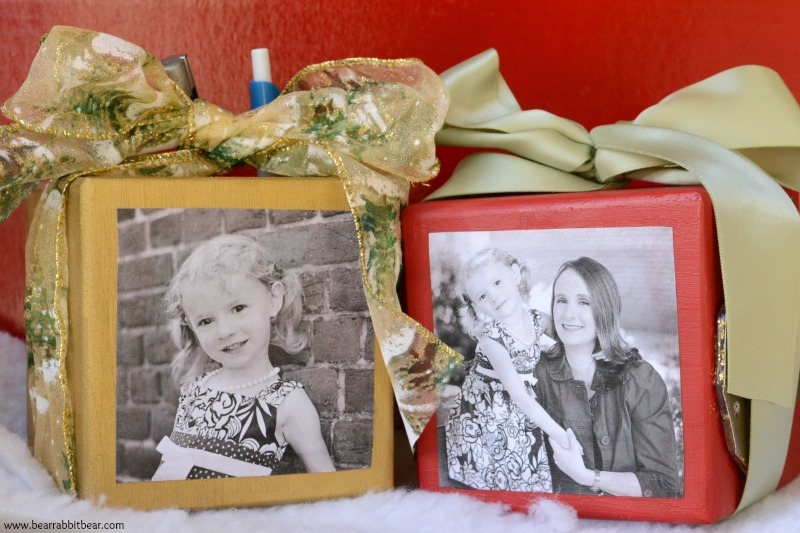 I’m not one of those crafters who embellishes every gift. I just don’t have the time to make custom bows for all thirty-some gifts that I have to wrap. Anyone out there feelin’ my pain? 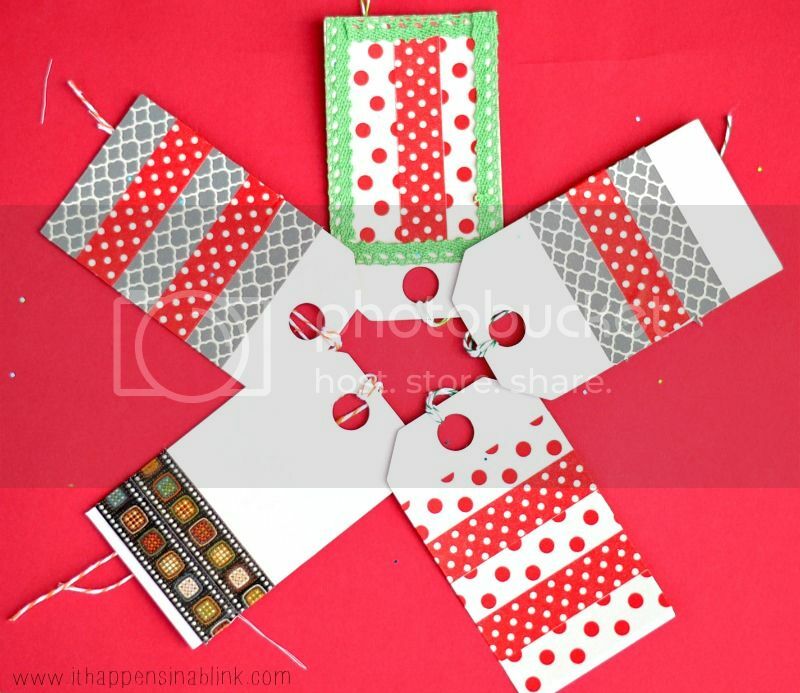 However, I’ve found that one way I can easily customize gifts and add a nice handmade touch is with handmade gift tags. 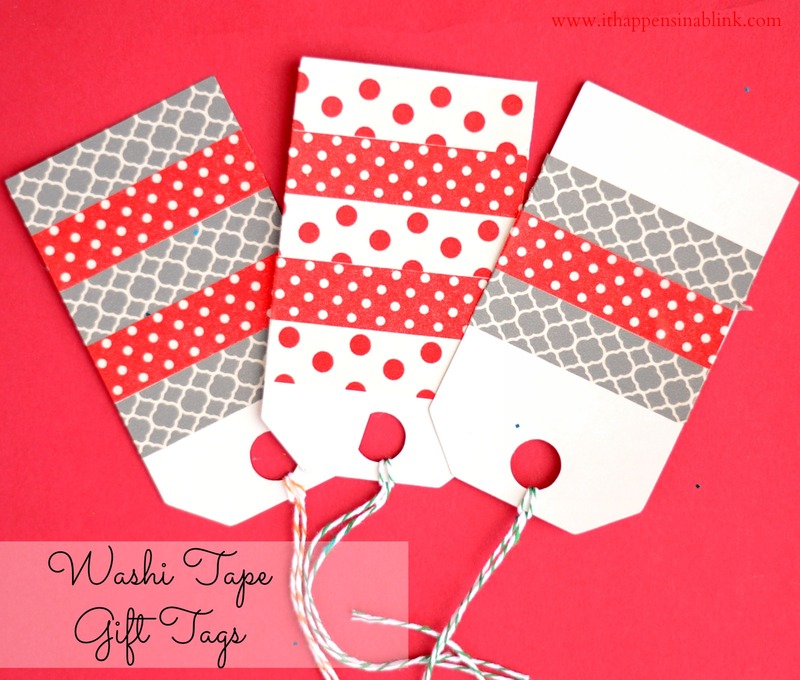 I’ll be sharing a variety in the coming days over on my blog, but today I would like to share with you easy Washi Tape Gift Tags. Lay out a blank tag on the self-healing mat. 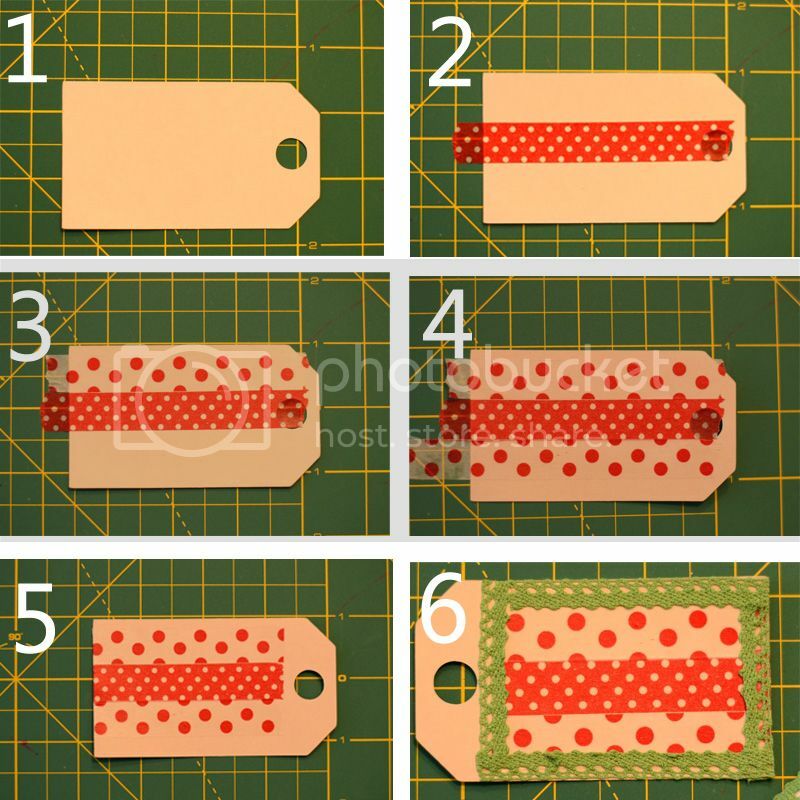 Arrange the washi tape in the desire pattern, allowing a little to go off the edge of the tag. See illustrations 1-4 below. Use exacto knife to cut the edge cleanly. See illustration 5 below. I also had a pretty crochet tape on hand, so I used it to accent. See illustration 6 below. Tie a length of baker’s twine through the hole. It Happens in a Blink time frame: This is a super quick craft! One tag takes about 2-3 minutes once you get started.